The CIPP Payroll Assurance Scheme is our flagship payroll audit solution, the gold standard for your processes and people and the prestigious award to covet in the payroll industry. It consists of two distinct elements, one will audit your payroll processes and the other will audit the learning and development of the staff within the payroll function. Helping you in isolating any issues, offering you a best practice solution to mitigate risk as required and, if you are successful, is a huge accolade for your staff who helped achieve the accreditation. With UK payroll services accounting for up to 17 billion pounds in payroll fraud in 2017 alone, the CIPP Payroll Assurance Scheme offers peace of mind to all who work with the industry or are seeking payroll services. 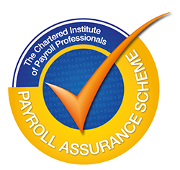 The CIPP Payroll Assurance Scheme is the only voluntary accreditation on the market that can offer employers and bureaux confidence in their payroll services from an audit which was approved and developed in partnership with HMRC. The CIPP work closely with their Policy team to ensure that the scheme is as up to date as possible and is always evolving. What does The CIPP Payroll Assurance Scheme test? The CIPP Payroll Assurance Scheme process will also highlight areas for development and improvement. What does it mean if an employer or supplier has PAS? How does my organisation become a supporter of The CIPP Payroll Assurance Scheme? How much does PQP cost? The fee payable depends on the number of payees processed and will be confirmed to you before you are asked to commit. The fee is payable prior to the start of the process and includes all assistance from CIPP, the assessment and detailed assessors report, the right to use the scheme logos in marketing and promotional material for two years and appropriate certificates and plaques. How will PQP develop further? Payroll Quality Partnership (PQP) has been around for eight years and during that time has been updated to reflect feedback from engaged organisations and we will continue to review and fine tune based on the experiences of our customers and assessors. What value will the PQP logo have? The Payroll Quality Partnership (PQP) logo is already recognised throughout the UK payroll industry as an indication of organisations committed to the development of their payroll staff. With your permission we will promote your corporate logo on the CIPP website thereby extending recognition for your organisation. Why has PQP now been packaged with PAS? The Payroll Assurance Scheme (PAS) and the Payroll Quality Partnership (PQP) have both been very successful as separate schemes in their own right in improving the payroll function in more than 100 organizations. At the same time it is worth acknowledging the differences between the two - in short, PAS is concerned with compliance and best practice processes in operational payroll whereas PQP is concerned with best practice in ensuring that the learning and development needs of the staff following those processes are met. They are different but they both have the same endgame – improving performance of the payroll function. Whilst the CIPP has assessed and accredited the payroll processes and procedures, we have no association with any of the other practices or processes linked to organisations accredited with the Payroll Assurance Scheme. Should you wish to make a complaint about an organisation accredited with the Payroll Assurance Scheme, the CIPP can only investigate areas covered by the members code of conduct. Please contact us for more information on the CIPP Payroll Assurance Scheme and how it will benefit your organisation.